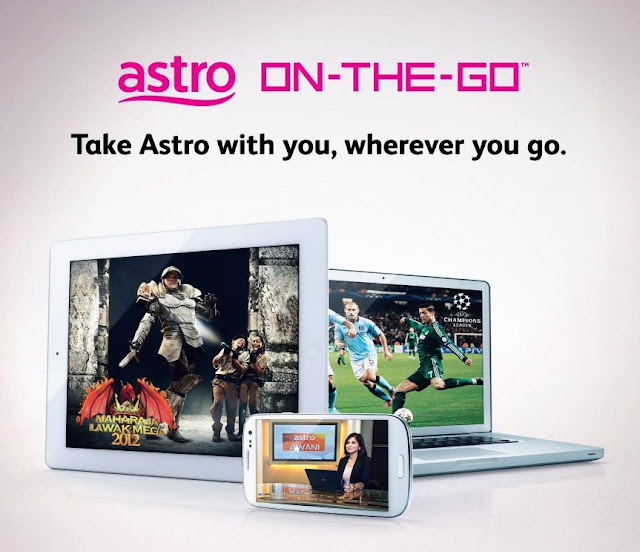 Astro On-The-Go (AOTG) offers you the freedom to tune into your favorite programmers wherever you are, at your convenience. 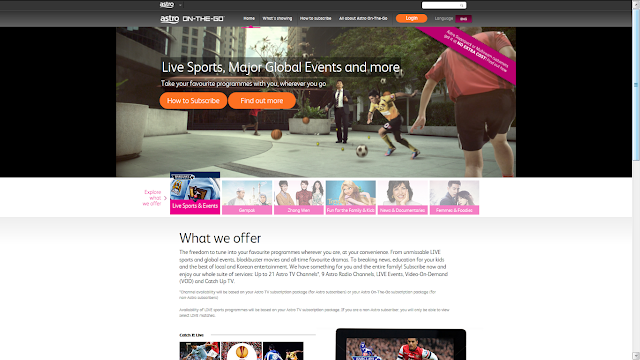 From unmissable LIVE sports and global events, blockbuster movies and all-time favorite dramas. To breaking news, education for your kids and the best of local and Korean entertainment. ASTRO have something for you and the entire family! All on your smartphone, tablet and computer! and start subscribe from now. 1. Why do call yourself an unstoppable explorer? What are your explorer characteristics? I love to eat and i love to travel. i'm food travel and i'm travel for the best food. I love to "Jalan-jalan cari makan' all around Malaysia. I have been doing this for many years since my childhood days together with my parents. And now, I usually drive on my own with family and friends. We would travel to north Penang for the best Assam Laksa at Ayer Itam or seafood at Bukit Tambun. Asam pedas at gerai A'a and chicken rice ball at ee ji ban, melaka. ohhhhh soooo yummmyyyy! om nom nom. 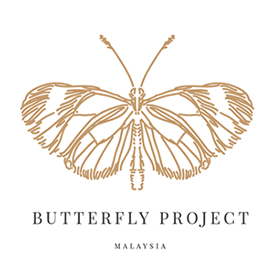 I also love to travel to south Johor for the famous 'Roti Canai' at 'Jalan Kuda Kepang' or yummy seafood at 'Orang Asli' restaurant next to the beach side (very secretive place where we need to go through a forest, I forgot how to go now). And every time I travel for good food galore, I never failed to share it with everyone. through my FB account and instagram and also in my blog. Like they said, see those pictures already enough to make them drool over it. At the same time, I always try to promote my beloved country Malaysia to the eyes of the world and welcome everyone to visit my country. 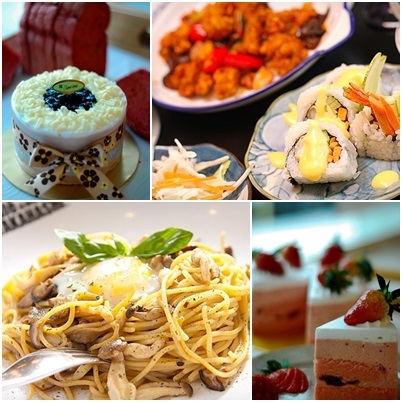 I dare to say that Malaysia is the ultimate paradise for good and delicious food and it's the best in the world! 2. What were the challenges you faced in your most recent adventure? And how did you overcome them? i am always struggling with my mood of "eat and eat" in every second of my life to be honest it's dangerous and killing grhhhh. I always decide to buy myself some gift aka breakfast or lunch or dinner heavy as mood booster. I was dropping by many store at and buying something to eat. Haha...it's always my best escapade to search for the best food in town, it's a must-do list in my travel agenda. Not only it fulfilled my appetite pleasure but it also help to kill the traveling time. 3. In your opinion, what is the essential gadget you can count on in your adventures? Mobile phone? Tablet? Camera? For me, the essential gadget that i count in my explorer adventure would be smartphone. Because it basically has everything i need. Smartphone is a part of my life because i always need it to update my blog, read blog that i follow, update my FB status, can upload and share the best photo straight to my instagram, view map and so on. and later, i can watch my favorite tv programmes at anywhere and anytime because Astro-on-the-go is available to download in any platform. How lovely?? It's good news to me because i like programme rasa halal antarabangsa and now i can watch the show with my smartphone during my free time. om nom nom! Tq Astro. 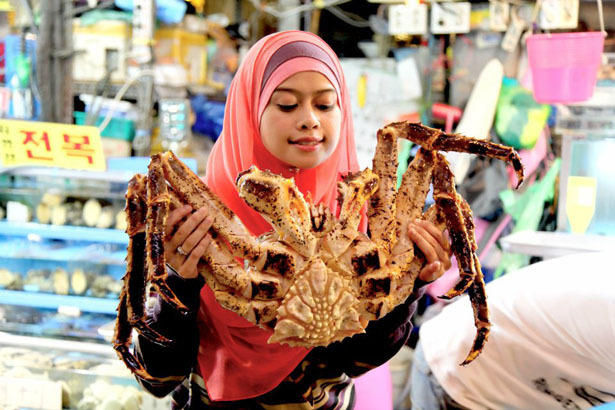 Rasa Halal Antarabangsa, a travelogue show on Astro Oasis 106. Muslim lifestyle channel.